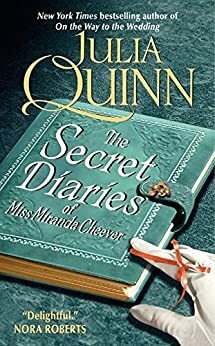 The Secret Diaries of Miss Miranda Cheever (Bevelstoke Book 1) - Kindle edition by Julia Quinn. Romance Kindle eBooks @ Amazon.com. 2) the whole "secret diaries" idea goes absolutely nowhere. "Tell Miss Cheever," he said scathingly, "that I will be back, and she bloody well better receive me." He strode furiously out of the house and down the front steps. Utterly enraged that the chit would completely refuse to see him, he turned back to look at the house. She was standing at an open upstairs window, her fingers nervously covering her mouth. Turner scowled at her and then realized that he was still holding his half-eaten scone. He lobbed it hard through the window, where it caught her square on the chest. There was some satisfaction in that. Isn't he charming and delightful? I mean, how could she resist him? He spends the entire book acting like a paternalistic abusive jerk, which brings me to Miranda. She is more likeable than Turner (I mean, who wouldn't be? ), but after a while you just want to tell her to stop acting like an idiot and have some damned self-respect. Any time she would behave with any smidgen of self-esteem and try to push back against Turner, it would take him like one grudging smile or word and she would just forgive him. It was gross. There are a lot of other problems, but the other main thing that drove me crazy was the diary idea that I had assumed from the title would be a major element in the book. . . yeah, no. Basically, when Miranda was ten, Turner told her to keep a diary so of course she did--and then the diaries she keeps play no part in the entire plot of the book. From time to time she writes in her diary; it certainly doesn't seem secret; and no one ever discovers her diaries. She eventually shows them to Turner in literally the last few paragraphs of the book and he's all: "isn't that sweet?" So disappointing. If you like Quinn, do yourself a favor and skip this one--it just may make you question her talent. PS This book reminded me a little of the only book in the Bridgerton series I didn't like: "When He Was Wicked" (but that one was still much better than this one. 4.0 out of 5 starsAbsolutely wonderful. A couple of years ago when I first joined Goodreads, one of my favorite things to do was stalk my favorite authors' bookshelves. It probably still would be, but when I say "stalk" I mean it, so I've already added anything of interest, and to keep doing it would crossover into creepy territory. At the time, I still hadn't ever read a straight-up historical romance, but after my success with KMM's Highlander series, I was more open to the possibility, so when Ilona Andrews (my FAVORITE) recommended When Beauty Tamed the Beast by Eloisa James (again, HR with a twist--this time of the fairy tale retelling persuasion), I. Was. So. There. And thus began my pursuit of my new favorite guilty pleasure. 1. I've only read MAYBE a couple dozen historical romances, and am by no means an expert. 2. Only two of those were written prior to 2000, so I have a very skewed and admittedly biased perception of what I refer to as, "my grandmother's historical romances." Well, you didn't know that second one, but you do now. SO. I'm my limited HR experience, I've discovered several authors whom are almost guaranteed to send me into raptures of pure delight and happiness. Those authors are: Eloisa James, Lisa Kleypas, Sarah MacLean, and Julia Quinn. 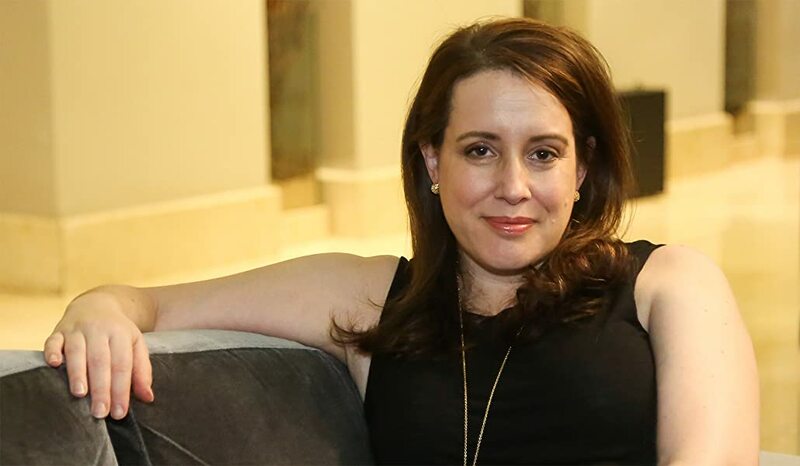 This is (so far) my favorite Julia Quinn. Miranda Cheever meets her best friend's elder brother Turner for the first time when she is only ten years old, and she loves him instantly. Nearly ten years later, she still loves him, but Turner is no longer the bright and optimistic young man she first gave her heart to. I've already said that HR is my new favorite guilty pleasure, so I have no problem admitting that I LOVE this premise--girlish crush becomes unrequited love becomes not-so-unrequited love. LOVE it. And of course there are many (MANY) obstacles along the way. Said obstacles are why I lowered my original rating, incidentally. On the second pass, the book was still as funny and clever as I remembered. The characters, both main and secondary, were still as endearing . . . BUT Turner was just a bit too thick-headed for me this time. He could have saved both himself and Miranda a ridiculous amount of heartache if he had just stopped being so damn stubborn. For me, there's a fine line between, "Nothing worth having comes easily," and, "I'm over it already." Turner didn't quite cross that line, but it was a near thing. Still, it was an absolutely divine historical romances, and I recommend it to all lovers of the genre as well as anyone contemplating giving HR a chance for the first time. The plot and characters of this book had some interesting twists which are decidedly clever and amused me. However, I felt the story was sort of laid onto the time period (which was somewhat unclear) and so seemed a bit like a complex daydream rather than a tale that let me walk and feel with the characters. I watched their journey instead of participating in it. This may fall into the category of personal preference rather than a problem with the book as it was enthusiastically recommended to me by friends. I also enjoyed that the male character struggled with expressing his feelings for the heroine in a realistic way. He was really nice and like a best friend, but he couldn't just say the words. I didn't give it five stars because I thought the back story of his first wife was pretty lame. It was like a rip off of Jane Eyre in that respect, and everyone just loathed her--it would have been more interesting if his first wife had more faces than just the 'cheating whore'. She was a person too, after all. With her own problems. No one is perfect. I'm not saying you had to like her, but at least give her some substance since she clearly had so much influence over the hero's psyche.